Putztechniken ... für alle Fälle Mausini, Karl H.
People who have a mild or moderate disability - whether physical, sensory, intellectual, mental, medical, emotional, or social in nature - can and should receive dental care in mainstream clinics and private practices. In most cases, however, the average clinician has no training or experience in treating this population of patients. 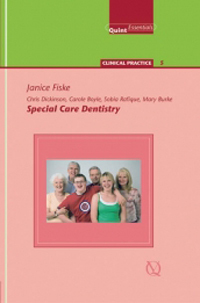 This book examines the principles governing special care dentistry and provides knowledge, information, and practical advice for the entire dental team to facilitate its delivery.